In 1954, Friends of Nature was launched by Martin Rudy Haase to protect a unique island in Maine. Since then, our conservation group continues to dedicate itself to maintaining the balance of nature for the mutual benefit of people and their plant and animal friends. We are a member of Nova Scotia Environmental Network. We have membership in the Nova Scotia Public Lands Coalition. 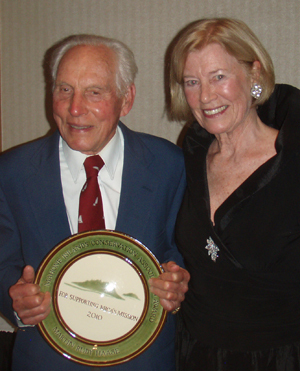 The driving force behind the work of Friends of Nature has always been our founder, Rudy Haase. He is known for translating idealism to action. A groundbreaking conservationist, his infectious optimism, enthusiasm and love of nature have inspired countless others to do good work. He and his wife lead by example in the way they choose to live: eating organic food, installing solar panels on their home and clearing snow from their driveway with no mechanical equipment. 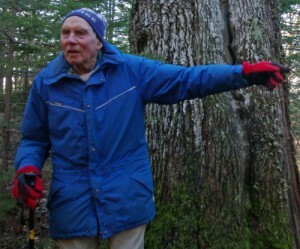 “He is a person of considerable conviction and principle but he also turns those convictions and principles into concrete action,” says Bob Waldon, past Nova Scotia Nature Trust board member. 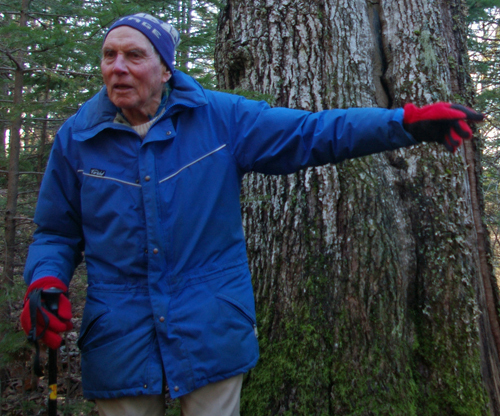 Although Rudy Haase remains humble, a lifetime spent conserving land does not go unnoticed. Mr. Haase was the subject of a beautiful 2007 documentary by Neal Livingston. “What a wonderful man he is! [The film, “Rudy Haase,” has] captured his vitality and energy which certainly is inspiring. He would seem to be the ideal model for us all,” applauds Leon Narbey (New Zealand feature film director; cinematographer on “Whale Rider;” filmmaker, “Man Of The Trees”). Rudy Haase is presented with the MICA Award by Sherrill Harrison at 8th Annual Mahone IslandsConservation Association Dinner. Front row from left: Martin Rudy Haase, Syd Dumaresq, Elizabeth Brainard, Sheila Knowlton-MacRury and Elizabeth E. May. From left: Rudy Haase, Treasurer & Founder; Brad Armstrong, Conservation Director; Sydney Dumaresq, President; and Sheila Knowlton-MacRury, Secretary. “Rudy Haase,” a film about Canada’s unknown environmental and social activist.